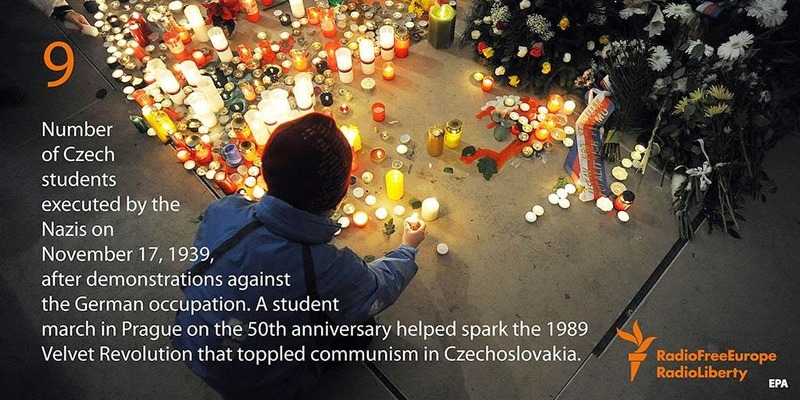 Twenty five years ago the Velvet Revolution erupted in reaction to the brutal repression of a student march on the 50th anniversary of the execution of nine Czech students by the Nazis for demonstrating against the Nazi occupation. 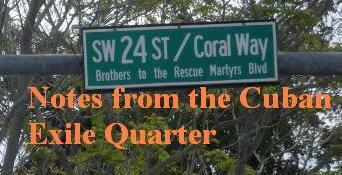 During those protests the demonstrators jingled keys to signify support for change and the unlocking of closed doors. 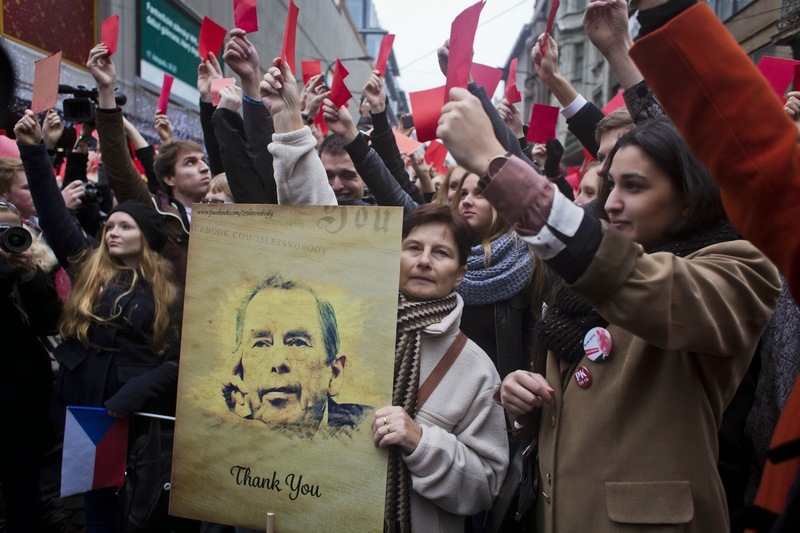 Today when Czechs gathered in Prague to give thanks to the late Vaclav Havel and celebrate 25 years of freedom they also carried red cards to protest the policies of the current Czech president Milos Zeman that are a repudiation of Havel's human rights centered foreign policy. Until now the Czech Republic has had a morally principled foreign policy based in a steadfast and principled defense of human rights and democracy without exceptions that had been vigorously defended and advocated by Vaclav Havel. On May 30, 2014 the Czech First Deputy Foreign Minister Petr Drulák stated that Czech President Václav Havel's foreign policy with its emphasis on human rights was damaging to national interests stating: "I consider this a false universalism, a false idea that we should enforce on others our idea of an ideal society we have created." The idea that human rights are universal is not a uniquely Czech idea but enshrined and signed off on by the vast majority of nations in the world in the Universal Human Rights Declaration that came into existence on December 10, 1948. President Zeman has repeatedly "made it clear that he considers economic diplomacy rather than promotion of human rights to be one of the pillars of Czech foreign policy." Unfortunately, this approach has also been seen in U.S. policy to China with disastrous results. I believe that when the new Laureate of the Nobel Peace Prize postpones receiving the Dalai Lama until after he has accomplished his visit to China, he makes a small compromise, a compromise which actually has some logic to it. However, there arises a question as to whether those large, serious compromises do not have their origin and roots in precisely these tiny and very often more or less logical compromises. Unfortunately, the decisions being made by the Czech government today may appear to be a small compromise in favor of commercial interests but the rejection of the applicability of universal human rights standards in favor of advancing economic interests will have grave consequences to the standing of the Czech Republic around the world as it has for the United States. Today, President Zeman's policies led to the Czech president being pelted with eggs during his speech on the 25th anniversary of the Velvet Revolution. Unfortunately, the long term implications and consequences of abandoning a principled foreign policy based in human rights will be far more dire for the Czech Republic and the world. The Velvet Revolution got its name from the American rock band the Velvet Underground whose music was covered by the Czech rock band the Plastic People of the Universe. The music outlawed by the Czech Communists led to the band members being arrested and placed on trial. This act of repression led to Charter 77 and restarting dissent after the years of repression following the 1968 Prague Spring. This is one more example of how one action can have unexpected consequences. 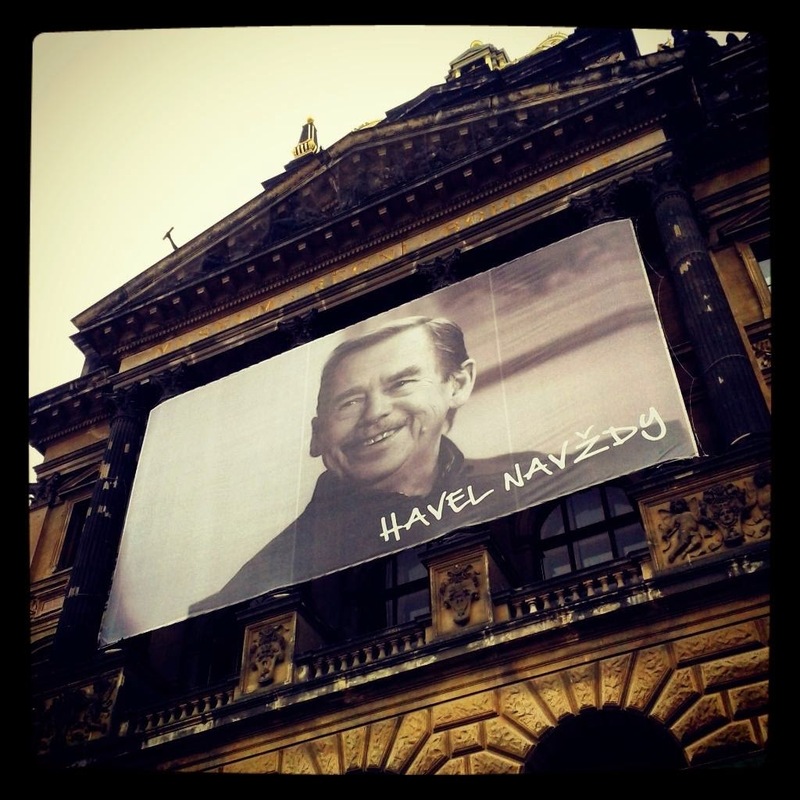 Vaclav Havel's place in history is secure but the legacy of the current government of the Czech Republic is an entirely different matter. Freedom was regained 25 years ago and has lasted a generation which is a great triumph but to maintain and expand freedom depends on the current leadership pursuing the right policies and the people of the Czech Republic holding them accountable.